When I was little my uncle used to bring me M&Ms every time I would visit my family in Oklahoma (I grew up in Arizona, where I still live). 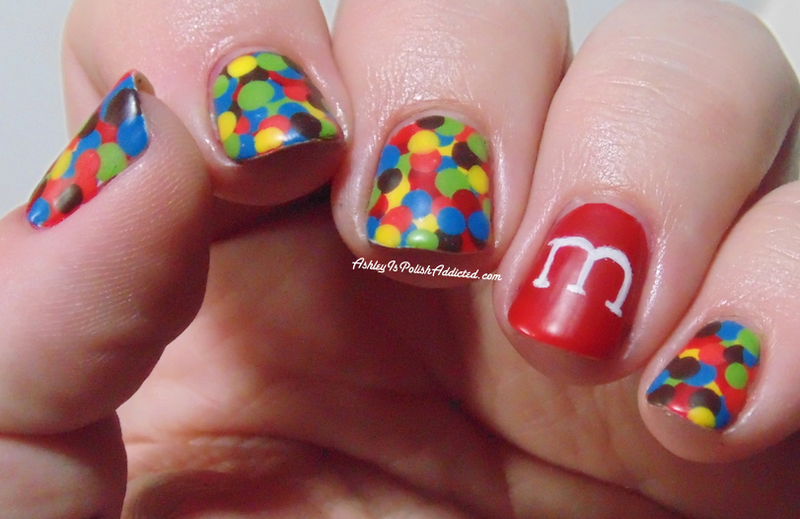 Uncle Daryl got me hooked on M&Ms so I can definitely blame this mani on him! I used all Zoya polishes for this mani, and will list them all below. I used a dotting tool for all nails except the ring finger, obviously. For my accent nail I used a plain white creme polish and a detail brush. I actually think I preferred this mani shiny (like above), but am also posting it with a waxy topcoat (below). Which way do you think it looks better? Excuse the shrinkage, apparently my top coat is getting a little thick! Don't forget to check out the other yummy manis below! Those dots are just too cool! I love the bright colors. This is such a cute look, I love the bright dots! Adorable! Well done with the freehand M too. I like this shiny rather than matte but it's great either way. My all time favorite candy! Love it! Mmmmmmmmmm.......M&M's! 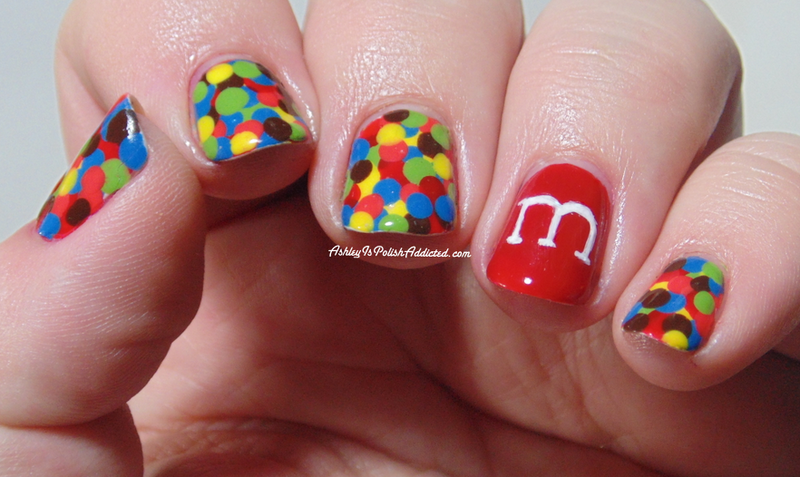 I just found out that crispy M&M's exist; I'll have to try them! 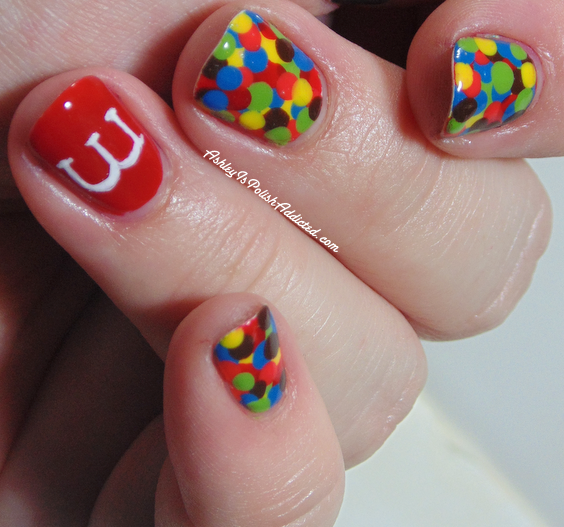 Your M&M's are so cute! !